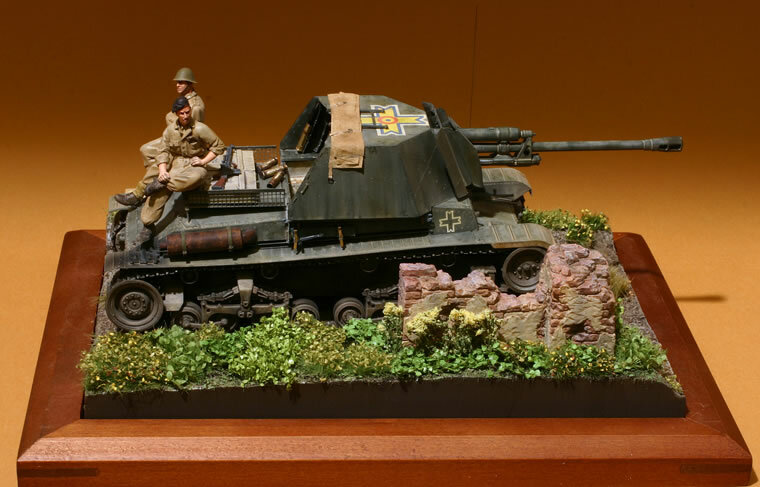 More than a decade ago, CMK released a plastic 1/35 scale kit of the Czech LTM-35, better known by its German designation as the PzKpfw 35(t). It was one of the best of the eastern European kits produced to date, and is still quite respectable. It came complete with link-and-length styrene tracks. CMK tried to milk the basic kit with a variety of sub-variants including the German turret-less mortar carrier. The most extensive reworking of the kit was the obscure but interesting Romanian TACAM R-2. 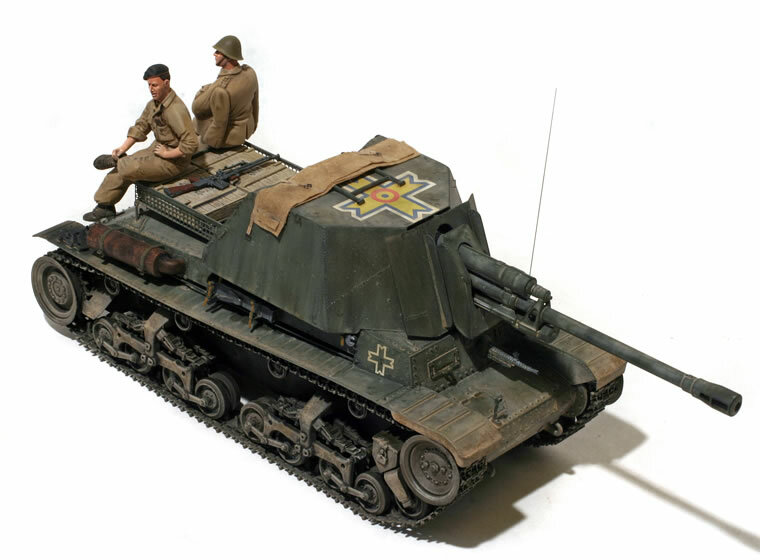 About 20 of these tank destroyers were built in 1944 by combining the hull of an R-2 tank (Romanian import of the LTM-35), the Soviet ZIS-3 76mm gun, and armor stripped off Soviet BT and T-26 tanks. 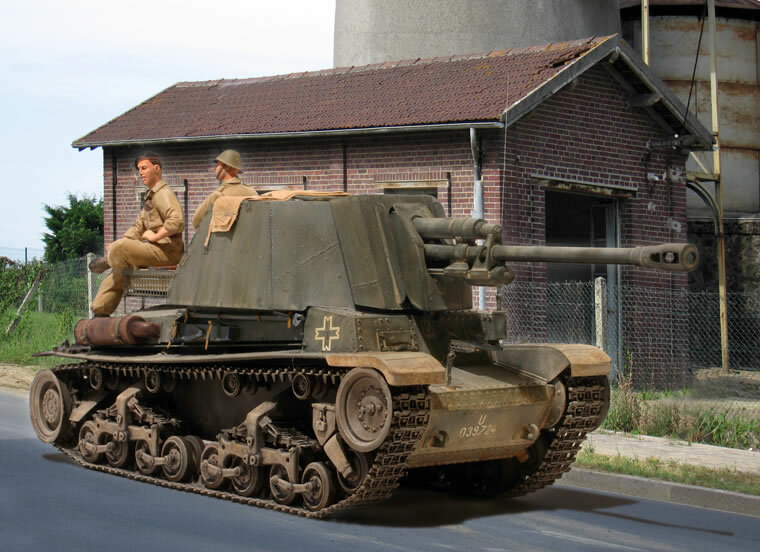 The TACAM R-2 was rough equivalent of the German Marder family and saw combat in the summer of 1944 and through the end of the war. The CMK kit is mixed media, and includes a full resin interior along with a small fret of PE. The majority of the kit is injection molded, including a new gun compartment. 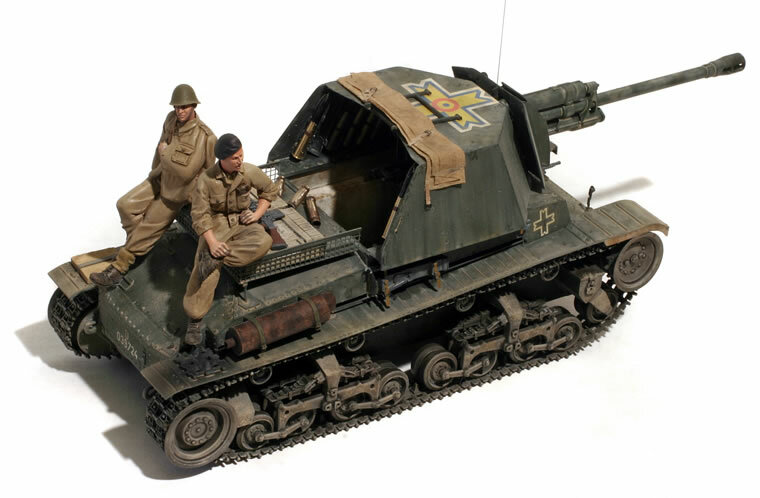 The interior is a bit tricky as the kit actually provides the interior for the mortar carrier which had some ammunition stowage racks not needed for the TACAM. Assembly is very straightforward, though I made a lot of little tweaks to the kit. The detail on the model ranges from fair to excellent. The suspension is a bit simple, and I did a lot of small detail work there, including springs from the Royal Models PE/resin upgrade set. The kit tracks aren’t bad, but I used the Model Kasten tracks as they permit a more realistic sag and have better detail. 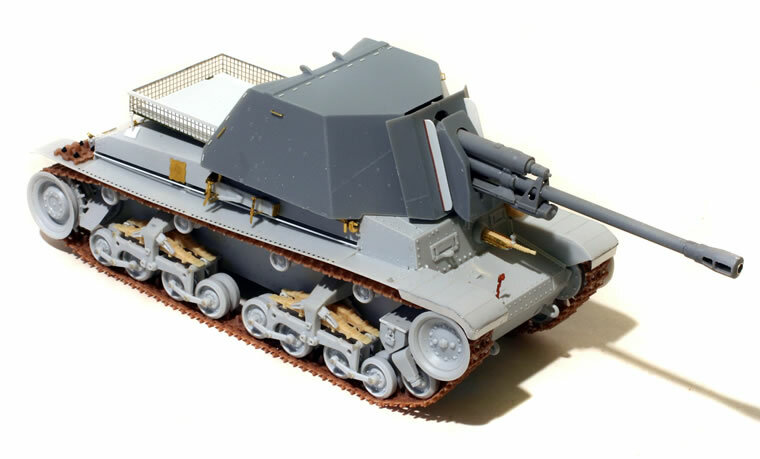 I also swapped out the Mini-Art ZIS-3 gun, partly because of superior detail, but also because the kit somes with ammo and ammo boxes that I wanted to use on the model. References on this vehicle are a bit thin, but available photos suggest that a work deck was added over the engine deck that is not provided in the kit. I added my own, though details are largely conjecture. The decals are from the kit. The two crew figures were converted from a Wolf and Warriors figure with Hornet heads (the Romanian army used Dutch pattern helmets which surprisingly is done in the Hornet line!). The vignette base is my favorite Monroe Perdu “Sunken Road” resin base, but with Armand Bayardi brick walls for a bit of variety. The foliage is Silfor Mini-Natur from Scenic Express. Overall, this is a nice little project that shows what can be done with a respectable older kit. I saw one recently at the Mosquitocon IPMS show in New Jersey for $10, and some Internet shops have it for as little as $26 which is a really good buy considering all the stuff in the box.